Web Developer by Day, Mad Typist by Night: Kept is out now! 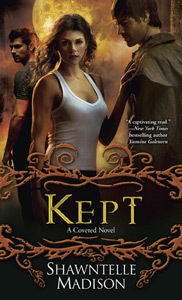 I'm so excited about Kept! It's been seven months of waiting for Natalya's story to continue! Thanks to Tricia Narwani, my editor, for helping me make Kept the best book I've ever written so far. (You too, Mike Braff!) I hope to continue Nat's story, as well as other characters from the series, into the foreseeable future. Or at least check out a preview of the first two chapters!